Yes, our Certified Organic, non-GMO Sweet Corn is in! That makes these hot summer days a little more pleasant, not to mention the summer meals a whole LOT better-tasting! Our Sweet Corn is grown right here in Oklahoma, not Mexico, Chile or China. (I noticed yesterday that WalMart is selling frozen organic Broccoli that is grown in China!). It’s getting more & more difficult to find organic veggies grown locally. It’s super hard trying to compete with the big producers from California and abroad these days, so we and other local farmers are very appreciative when you buy local. 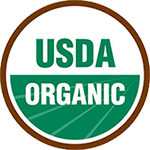 You can be assured that our “Certified Organic” label is the real deal, too! We are regularly inspected by the Ok. Dept. of Agriculture, which means we are accountable to someone. That is important. Unfortunately anyone can say they are “organic”, but can they back it up? Like the slogan says, “Know your Farmer, know your food”. Back to the Sweet Corn…get it while you can, ’cause we only have it for a very short time. You can find it at all the Natural Grocers Stores in Norman, OKC and Edmond. Also, at Green Acres in OKC and Stillwater. Please let the produce managers know that you like local vegetables; it really helps us when you mention that. While you’re there, check out our Cucumbers, Beets, Sweet Onions, Red Potatoes and Sweet Potatoes.